On Sunday March 3rd, our young bakers had the pleasure to attend a class taught by a French chef from our in-kind sponsor Grands Moulins de Paris. Founded in 1919, Grands Moulins de Paris produces high quality flour & various mixes. Renowned for its expertise, the company had been able to adapt to the market and its brands (Francine, Campaillette, Copaline), made Grands Moulins de Paris today a major leader on the milling market. Strong and dynamic, the brand is constantly innovating for the greatest satisfaction of their customers and give them maximum of guarantee in its high-quality products. 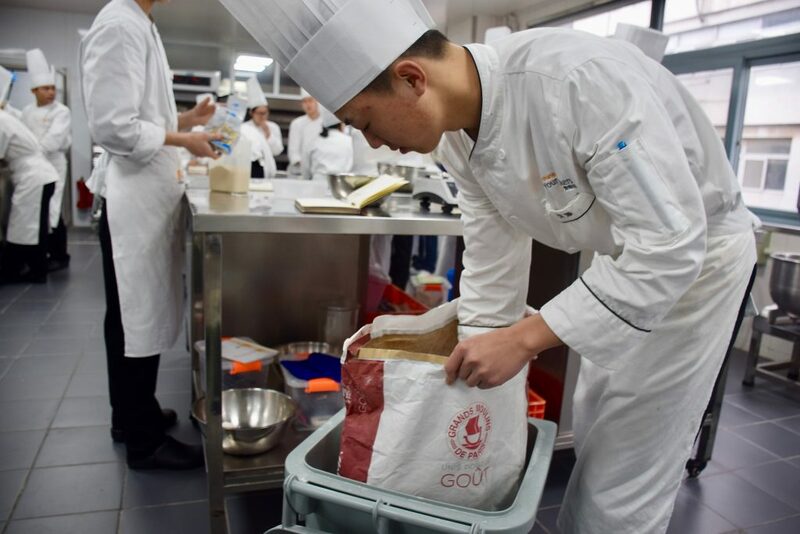 Grands Moulins de Paris has been a longtime supporter of Shanghai Young Bakers for many years now. They are offering free of charge bags of flour for our students training, which SYB is always thankful for. 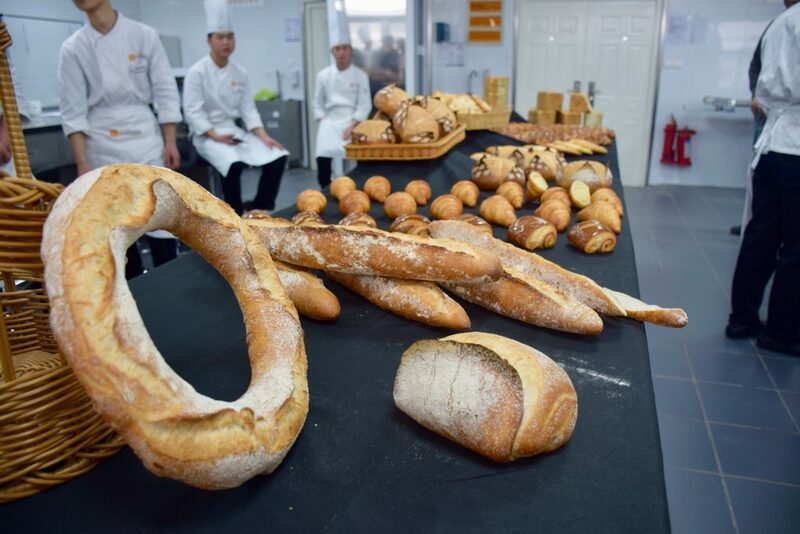 For this course, it is the French chef Thomas PEDRON, who gladly came to teach our students some new bakery recipes. Thomas first started to learn pastry when he was 15 years old. 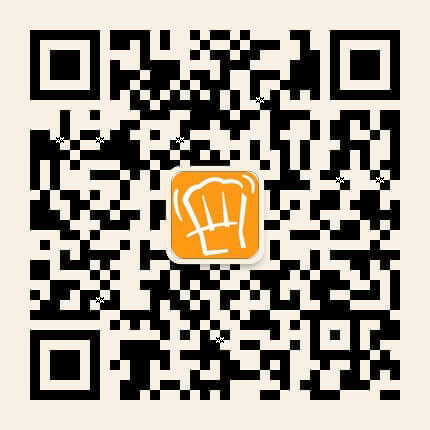 Later, he went for the bakery sector and successfully obtained two certificates: one in pastry and bakery and one Master Baker certificate. 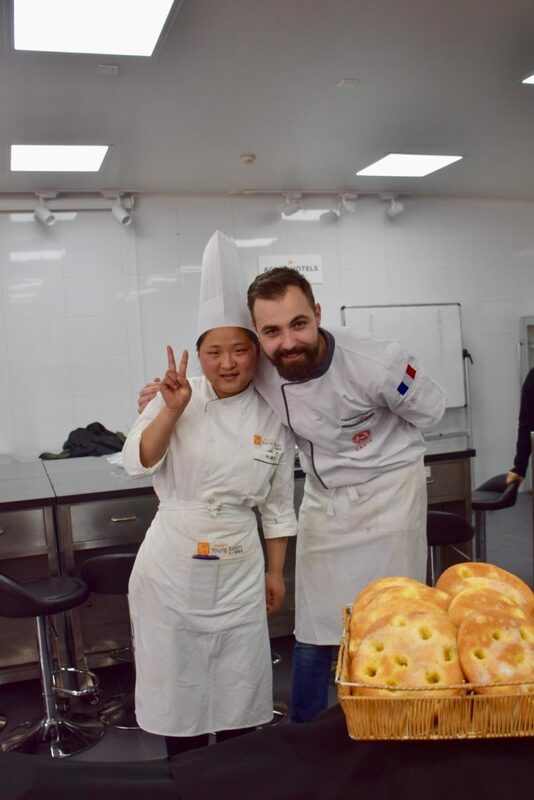 He went to Paris to start his career and after working 10 years in France, he is now in charge of the Asian demonstration and technical assistance at Grands Moulins de Paris. His career was very inspiring for our students, that kept asking questions about his choices, his traveling and the different opportunities that can offer the bakery’s profession. 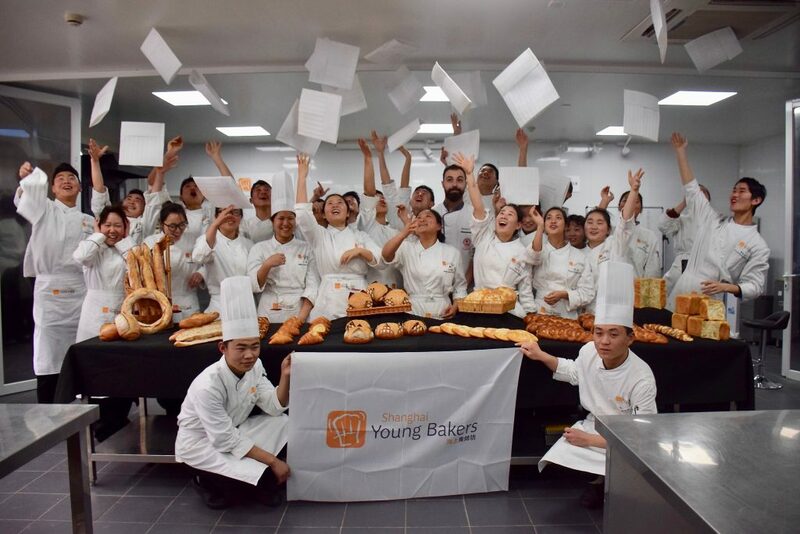 During the day, the young bakers and chef Thomas prepared 7 basic baking reviewed recipes , included the traditional baguette (in different shapes), croissant, pain au chocolat, braided brioche with cacao powder, brioche with matcha. The students were divided in different groups and made different recipes each. Chef Thomas guided them all along, showing first his technique, then watched and advised them while they were baking. The students were very attentive to his gestures at every steps of the recipes. At the end, the finished products looked very delicious, the students were amazed and very proud of their work. The activity went perfectly. 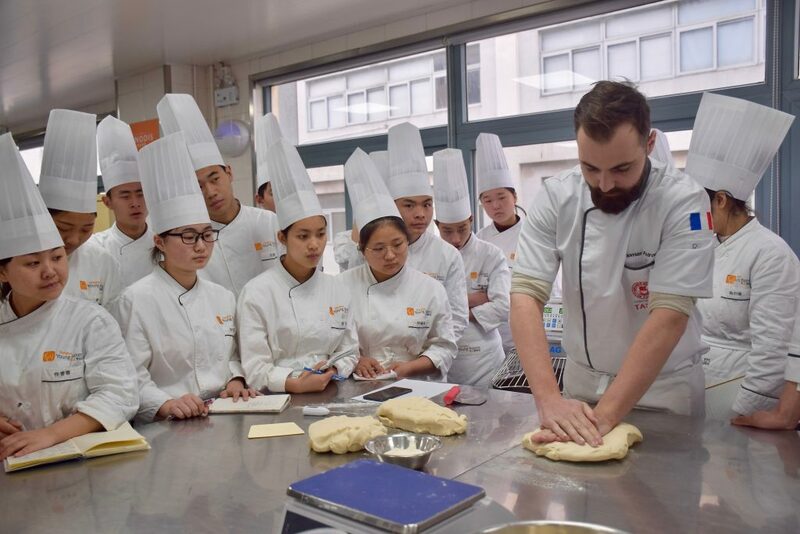 On behalf of Shanghai Young Bakers, we would like to thanks Chef Thomas for giving his time to teach and share his passion of baking with the students. Also, very grateful to Grands Moulins de Paris for their long-standing support to our charity program.